Securely hold roast, ham, or turkey breast steady while carving and serving luscious cuts of meat with this 21" pot fork. A great addition to any kitchen, this pot fork can be used to hold a large roast in place while carving, or to easily get meat off the grill. 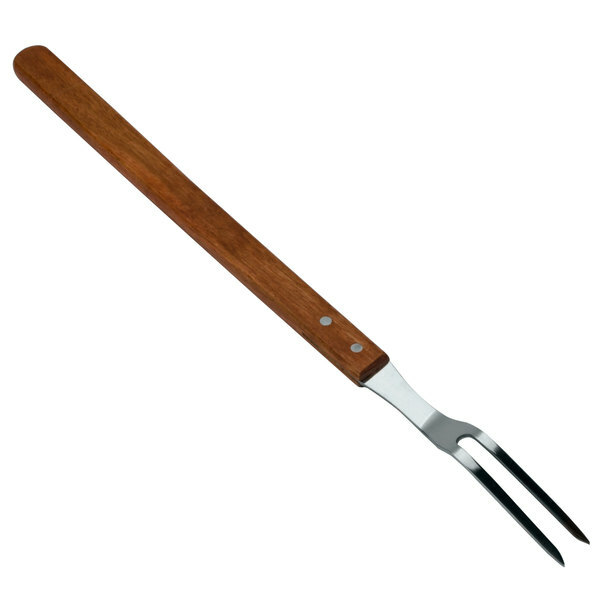 This fork features sharp, durable stainless steel tines to successfully maneuver meats on the grill or the carving station. 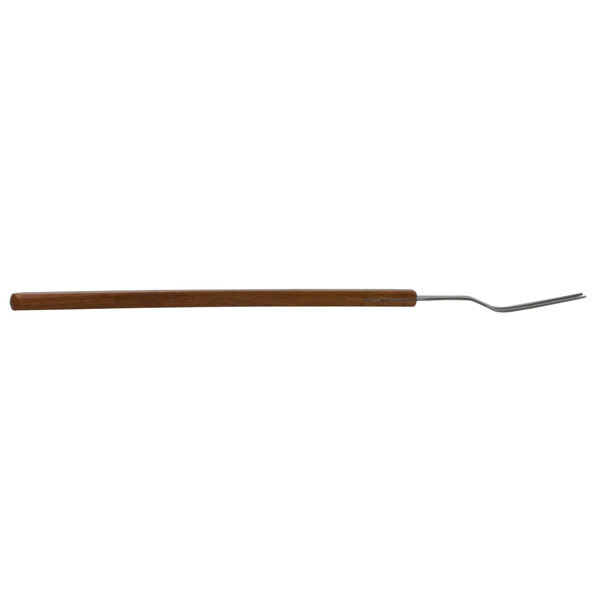 Brass rivets tightly secure the tines to the attractive, comfortable wood grip ensuring safe and effective operation. A highly durable, quality choice at an affordable price, this pot fork is a must-have for any kitchen! I love the look and feel of this pot fork. It is surprisingly inexpensive for the quality. It is well made and very sturdy. This is perfect for everyday use in any kitchen. I love to hold large chunks of meat with this twenty-one inch Pot Fork for clean slices. The grip is non-slip without being uncomfortable and it holds the meat securely in place for easy slicing. This fork easily grabs a hot dog from the grill. It cleans really well. I would love to see additional sizes of this fork available in the future. 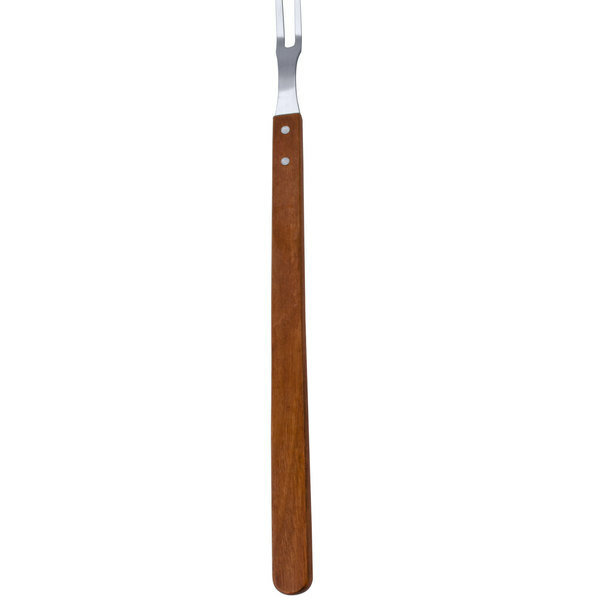 We love using this 21 inch pot fork on the grill. The long handle helps to keep your hands away from the heat. 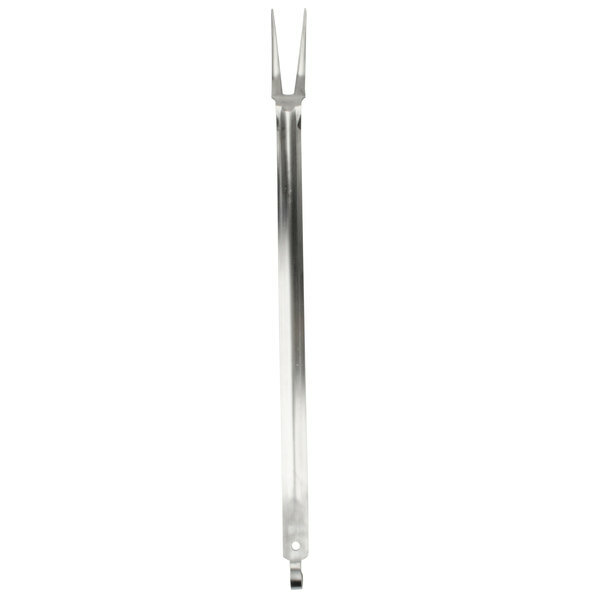 The fork portion is made of stainless steel and is resistant to the hot heat of the grill. This is a very reasonably priced product for the quality. Roast beef is easily served with this pot fork. I find that you can also pick up pasta with this pot fork. You can pull it out and hold it while the hot water drains off. This is a rather large pot fork, but it is essential in my kitchen. It has gotten a lot of use and has far exceeded my expectations! I would definitely recommend it! I really like the quality of this 21" Pot Fork. 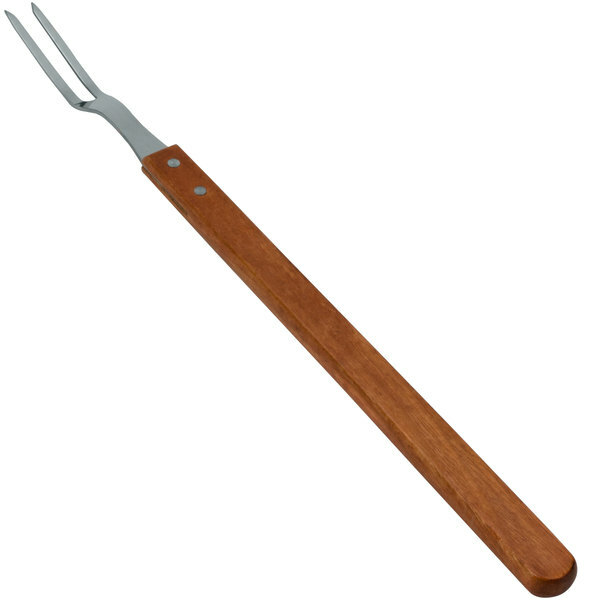 The wood handle will keep you safe from burning and the stainless steel fork is very sturdy and does not bend. 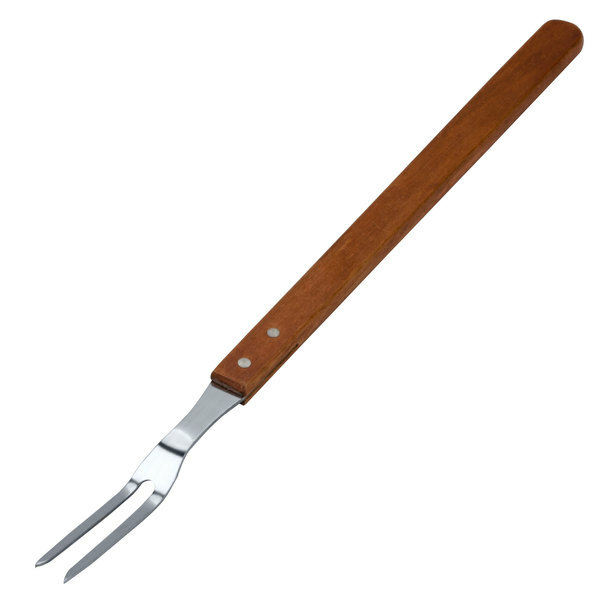 This fork is perfect to use on barbecues due to the long 21" reach. 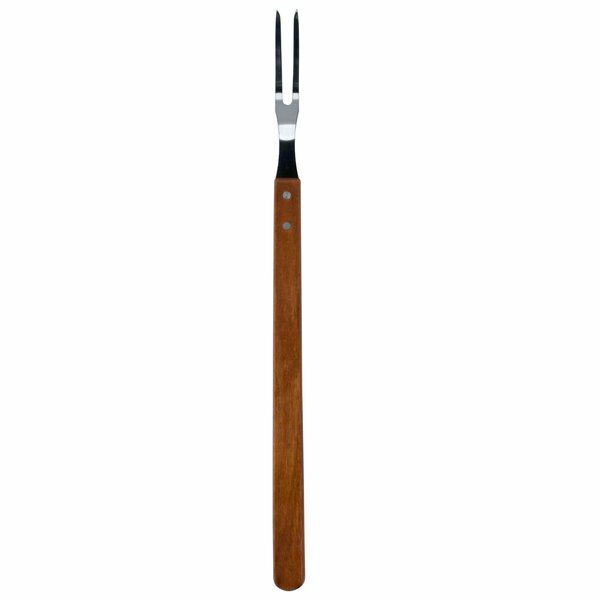 This pot fork features 21" in length and is excellent for stirring deep pots of southern collard greens. A unique kitchen item to have as part of utensils. 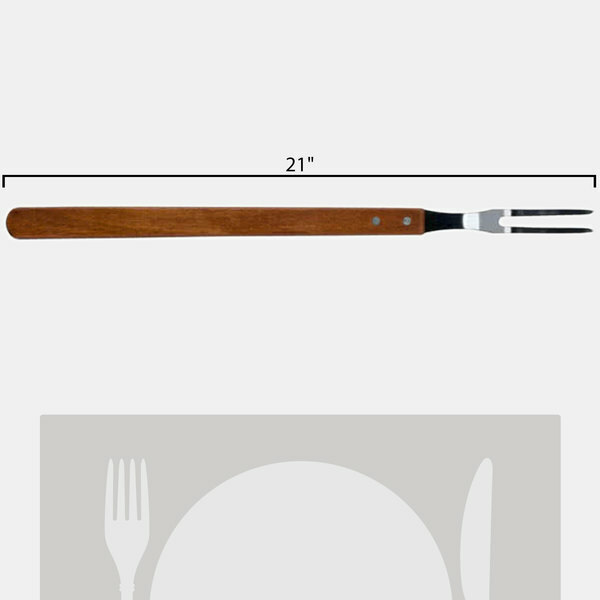 Sir Clean recommend this product 21" Pot Fork, you can use in the kitchen to many purpose. The material is very resistant. The price is good. Very happy with the quality and price of the 21 inch pot fork it's got so many uses moving meats or veggies on the grill or in the kitchen oven . I actually used these to roast marshmallows over a camp fire with my daughter and her friends. They are long enough that you don't need to be too close to the fire, and are really sturdy. Why limit them to the kitchen? This is a great fork. I use it for just about everything that will keep me from burning/hot flashing my forearm(you all know what I'm referring to), reaching over a hot stove or grill to move some meat around. Very sturdy and well made. I haven't tested how much it will pick up but I feel confident it will handle a pretty good hunk of beef. Get one you won't be disappointed. This ia a great pot fork. I love the length on this one. It is long enough to use in very deep pots or reach into our commercial oven without the fear of getting burned. It is very well made. Very happy with this fork. Was very reasonably priced and reaches great into the BBQ without burning yourself. 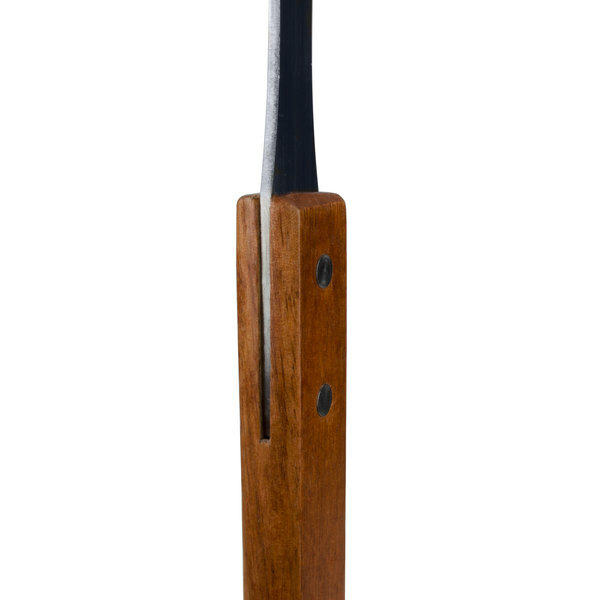 Strong wood handle makes it perfect for reaching into hot areas. Try this 21" pot fork instead! Featuring a durable stainless steel construction and a hook for easy storage, this fork is a great alternative until this is back in stock.